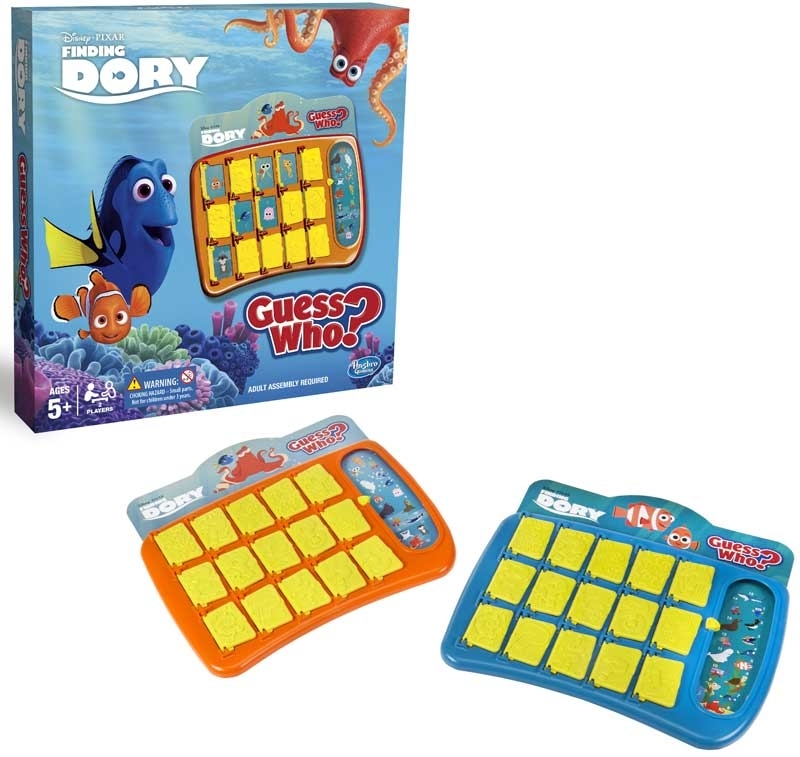 GUESS WHO FINDING DORY - It's the classic Guess Who? game with a Finding Dory twist. Can you guess your opponent's Mystery Character before they guess yours? Each character is a Finding Dory favourite! Ask your opponent yes-or-no questions about the character like "Does it have fins?" or "Does your character swim in packs?". Make your guess when you're ready but don't guess wrong - if you do you can't guess again until your next turn! But if you guess right you're the winner!